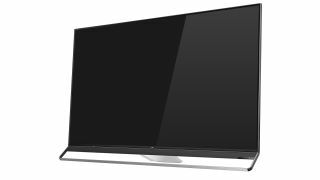 Having racked up more than $1billion in sales in 2017 on the back of affordable 4K HDR TVs and a recently launched 100-inch laser TV, Hisense is out to keep the momentum going with the 2018 US TV range it’s just announced at its CES press conference. Heading up the list of Hisense newcomers is the 75-inch H10E. This 4K set is one of Hisense’s so-called ULED screens, which use patented picture processing techniques to optimise backlight and color performance to the incoming video. It also sports Quantum Dot technology to deliver a wider color gamut. In fact, Hisense claims it can span more than 90% of the Rec. 2020 HDR colour format. Perhaps the single most promising aspect of the H10E’s specification is its use of full array lighting (where the LEDs sit directly behind the screen) powered by a local dimming system able to operate across more than a thousand separate backlight zones. That’s one of the highest numbers of backlight zones ever released to market, and has the potential to deliver a spectacular, high dynamic range-friendly contrast performance. The H10E’s HDR efforts should get a further boost, too, from its support for the Dolby Vision HDR platform. As well as adding superior color mastering to normal HDR video, Dolby Vision provides an extra layer of dynamic data to the video stream that’s designed to help TVs make each scene look as good as it possibly can. As if all this wasn’t already promising enough for home cinema fans, it sports a native 120Hz panel for improved motion clarity, and boasts a formidable smart system built around Android TV with voice control support. The H10E is compatible with both Google Home's Assistant and Amazon Alexa, offering voice control for such features as turning the TV on and off, changing inputs and controlling volume. The Alexa link will also enable users to seamlessly connect to music services such as iHeartRadio, Pandora, TuneIn and Amazon Music, as well as giving you access to thousands of Alexa ‘skills’ , from buying groceries and gifts to ordering pizza. The H10E will also support Bluetooth streaming from your smart devices, and is set to launch in April for an as yet unconfirmed price. Promising though it sounds, the H10E’s 75-inch size probably makes it a no-go for many households. Which is where the new step-down H9E Plus range comes in. Available in 65 and 55-inch screen sizes, the H9E Pluses keep the ULED picture technology, the 120Hz native panel, the Android TV smarts, the Google Home and Alexa compatibility, and the support for Bluetooth streaming. You even still get support for Dolby Vision HDR as well as the HDR10 industry standard. The main difference lies in the way H9E Plus screens are edge lit rather than direct lit. There’s still local dimming applied to the edge-mounted LEDs, but this inevitably won’t provide nearly as much precision - or as much potential contrast and dynamism - as local dimming applied to 1056 light clusters behind the screen. The H9E Plus sets are additionally claimed to cover more than 90% of the so-called DCI-P3 colour range, which is much narrower than the BT2020 colour range quoted with the H10E. Hisense also announced a standard, ‘non-Plus’ H9E series at its CES press conference. These sets come in 86-inch, 75-inch, 65-inch, 55-inch and 50-inch sizes, and are likely to represent the ‘volume’ section of Hisense’s latest TV range. They’re still 4K, still support Hisense’s ULED technology, and still feature a (reduced) level of local dimming applied to an edge-based lighting system. However, now there’s only 120Hz motion rate processing rather than a native 120Hz panel, and there’s no longer any support for Dolby Vision. Here you just get HDR10. Android TV and Google Home support are kicked into touch too, to be replaced by Hisense’s own Smart TV platform. You do still get Alexa compatibility, though. The H9Es will appear in March, with the H9E Pluses appearing in April. Sitting below the H9Es are the H8E and H6E ranges. The H8Es appear similar in specification to the H9Es except that they no longer support ULED, and the design is less premium (though Hisense states that the H8Es are 40% thinner than their 2017 equivalents). They’ll be available in April in 65, 55, 50 and 43-inch sizes. The H6E ‘entry level’ 4K models switch back to direct backlighting, while retaining HDR-10 support and 120Hz ‘motion rate’ processing. They also keep Hisense’s smart TV system. However, Alexa is no longer available at this level, and there’s no local dimming. The H6Es will go on sale in March in 65, 60, 55, 49 and 43-inch sizes. Hisense also announced its 2018 range of Sharp TVs (Hisense now owns the Sharp brand in the US). There was nowhere near as much detail on these models, but since Sharp sets apparently accounted for 28% of Black Friday TV sales, I’ll quickly share what I can! The top-line Q8000 series will appear in April in 65, 60, 55, 50 and 43-inch sizes, packing 4K resolutions, HDR10 support, Alexa compatibility, and local dimming applied to what I presume is an edge LED lighting arrangement. The step-down Q7000 range scraps the Alexa support and local dimming, though still support 4K and HDR10. Other than that there are just a couple of non-4K, non-HDR ranges: the Q5000 and Q3000 series.